Virtual environments. 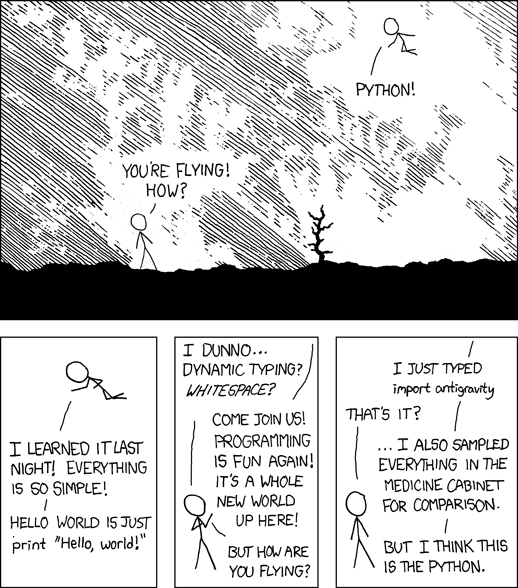 If you've ever done any meaningful work in Python, you've almost certainly heard of these. Chances are, you've even been told they're non-negotiable. Trouble is, you have no idea what they are, much less how to make them. For my first several dozen attempts at using virtual environments, I managed to get something horribly wrong. They never worked. I hate to admit it, but I don't even know what I did anymore! Ever since I've learned how virtual environments worked, I haven't had a single problem with them. A virtual environment, or virtualenv as it is sometimes called, is a sandbox where you can install only the Python packages you need. "Yeah, and what's a package?" But what if you want something more than the built-in packages? For example, you might want to create a snazzy user interface, and you decide to use PySide2. PySide2, like thousands of other third-party libraries, aren't already built into Python - you have to install them. But this is where it gets tricky. Some packages require other packages to be installed first. Certain packages don't like certain other packages. Meanwhile, you can actually install specific versions of a package, depending on what exactly you need. Did I mention that some of the applications and operating system components on your system rely on those Python packages? This is why we have virtual environments! We can create a different little sandbox for each project, install only the packages we want in it, and keep everything neatly organized. Bonus, we never actually change what Python packages are installed on our system, so we avoid breaking important things that have nothing to do with our project. 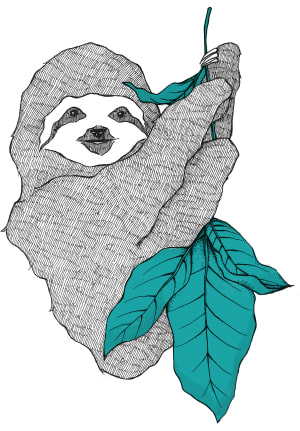 Let's install virtualenv and pip. Just for the sake of example, we'll also be installing Python 3. If you already have it, reinstalling doesn't hurt; otherwise, you can just skip that part. On Linux, your distribution's package repository almost certainly has what you need. On Mac, you can use either Macports or Homebrew to install. On Windows, you'll need to first download and install Python. This should also automatically install pip. However, if you try to run pip in the command line, you should download get-pip.py onto your Desktop, navigate to that directory on your command line, and run it via python get-pip.py. Whew! With that out of the way, let's get to the fun part...CREATING virtual environments! Once again, a virtual environment is like a sandbox, containing only the packages you choose, and ignoring (by default) all the Python packages installed elsewhere on your system. Each virtual environment resides in a dedicated directory. Conventionally, we name this folder venv. To create the virtualenv, we first change our working directory in our command line to our project folder. (Remember, that's the cd command.) Then, we create the virtualenv and its directory in one step. The last part of that command, venv, is the name of the directory you're creating for the virtual environment. Technically, you can call it whatever you want, but like I mentioned before, venv is the convention. If you only have one version of Python installed on your system, you can actually skip the -p python3 section altogether, and just say virtualenv venv. 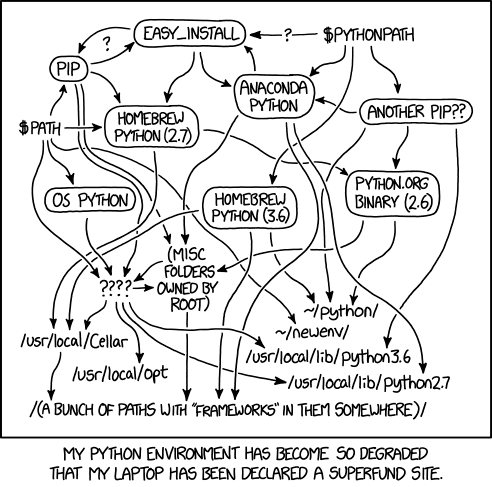 Being primarily an Ubuntu user, however, I usually have multiple versions of Python installed, including Python 2.7. Thus, it's easiest just to specify exactly what I want. If you look at your working directory, you'll notice that the directory venv/ has been created. Great, so how do we use this thing? Like magic, you're now using your virtual environment! On UNIX systems, you'll probably see (venv) at the start of your command line prompt, to indicate that you're using a virtual environment named venv. Naturally, if you named your virtual environment something else, like bob, you'd need to change the activation command accordingly (source bob/bin/activate). One of the wonderful things about virtual environments on a system with multiple versions of Python is that you no longer have to specify the path in your commands. While the virtual environment is activated, python whatever_your_command_is.py will use the version of Python you selected when you created the venv. Every time. pip is pretty easy to use, and much easier than it used to be in the bad-old-days. It used to be so clunky, in fact, that someone felt they needed to create something called easy_install, but pip is now very much painless to use. If you want to install a specific version of something, that's easy too. Would install the latest version of PySide2 that is at least version 5.11.1, or else later. This is really helpful if you want to make sure someone actually has access to a minimum version of a package (they might not). You can actually save even more time for yourself and others by writing a requirements.txt file for your project. On each line, list the name of the pip package, exactly as you would type it into the install command. Removing things is just as easy. Great, so we can install, upgrade, and remove things. But how do we know what packages pip even has to offer? There are two ways. The first is to use pip itself to run a search. Say you want a package for web scraping. That will give you a whole ton of results to sift through, but it's helpful if you simply forgot the name of a package. If you want something a little more browsable and informative, PyPI.org is the official Python Package Index. Once you've installed the packages you need for your virtual environment, you're good to go! The next time you start the virtual environment, those packages will still be there, exactly as you left them, waiting for you. No matter who tells you to, never, ever ever, EVER use sudo pip on a UNIX system. It will do so many bad things to your system installation that your system package manager cannot correct, you will be regretting the decision for the lifetime of your system. All the problems that sudo pip appears to fix can be solved with virtual environments. Great, so how do you get out of the virtual environment, and back to reality...er, ahem, the system. You ready for this, UNIX users? First, this is called a "she-bang" (short for haSH-BANG, or #! ), and it allows the script to be run without python being tacked onto the beginning of the terminal command. Second, the above line is very, very wrong. It forces the computer to use a particular system-wide copy of Python, which more or less throws the whole virtual environment thing out the window. Remember that warning earlier, about venv if you're using a VCS like Git? Within a virtual environment's directory are the actual packages you installed with pip. Those would clutter up your repository with big, unnecessary files, and you can't necessarily copy a virtual environment folder from one computer to another and expect it to work anyway. Naturally, if you used a different name for your virtual environment, you'd change that line to match. Conventionally, every developer who clones your repository will build their own virtual environment, probably using that requirements.txt file you created. If you're using a different VCS, like Subversion or Mercurial, check the documentation to see how to ignore a directory like venv. A lot of Python developers will probably frown deeply at you for putting your virtual environment in the repository folder at all. The main disadvantage to my method above is, if you name your virtual environment anything but venv (or whatever you put in your .gitignore, it's going to get committed, and that's bad. The best habit is actually to keep your virtual environment out of the repository directory altogether. But, if we're honest, most of us actually don't. It just feels more convenient to do it the "wrong" way. That's why we add venv to the .gitignore. You, or someone else, will probably going to stick the virtual environment in your repository directory, so this just helps prevent some accidental commits. Some of my Python developer friends on Freenode IRC, as well as folks in the comments, pointed out a few extra tricks that will be helpful to virtual environment users. If you're using Python 3.3 or later, you can actually use python -m venv venv to create a virtual environment with the name venv. The first venv is a command, and the second venv is a name. Thus, you could also say python -m venv myvirtualenv to create a virtual environment called myvirtualenv. Of course, if you're on a system with both Python 2 and Python 3, be sure you use python3 -m venv or whatever is appropriate. This trick doesn't work on any version of Python before 3.6. You can also use the binaries that are part of the virtual environment without actually activating it. For example, you can execute venv/bin/python to run the virtualenv's own Python instance, or venv/bin/pip to run its instance of pip. It'll actually work the same as if you had activated the virtual environment! Thank you to grym and deniska (Freenode IRC #python) for suggested revisions. Check out pipenv, it so very nicely married pip and venv/virtualenv. I've quite enjoyed that it tracks the requirements for me as I go. If you're gonna start with Python 3.6+, venv module (built in) is my recommendation, of course only if you will work with 3.6+ version and you're not looking for previous versions. Good start for this good serie ! I found this article very informative and point-to-point coverage on topics. Though I still have doubts on she-bang. As you said above if we write !#/usr/bin/env as first line in python script we don't need to call it with 'python' command on terminal. So I tried this by writing 'test.py' on Linux but this script is not getting executed without typing 'python' onto the beginning of the terminal command and it gives error : 'test.py' is not a command.. So I didn't understand the use of she-bang properly. Are there any exceptions to these? ...is going to search your system environment paths for an executable file called test.py, and I can practically guarantee your project folder isn't part of that environment path. The . means "current working directory", and then you build the relative path from there. Awesome! Quick question tho on sudo pip. I've had encounters before with it. and how do you "undo" such an action? It's not exactly wrong, it might not do what you are expecting. People might run pip install requests and fail because of permissions. They might try sudo pip instead of pip install --user. Sudo pip will install things in the system's python, rather than the user's python. The reason I say you should "never" use sudo pip is, on any system maintained by a dedicated package manager, it can easily conflict with the system-maintained packages, which can make a real mess, especially where dependencies are concerned. Ah! That makes sense. So it would be much better then to do pip install --user than sudo? This has me excited to try python again, this time following your clear and concise instructions, and taking advantage of venv! Thank you! Great article Jason, i love how easy is to understand virtualenvs using this. A day later we came across pipenv wich reproduced the exact ambient for us and problem solved... now i have to ask whats your stance in this virtualenv vs pipenv that seems to be happening around the python world? and also are you planning to add it to your dead simple series? i will love to use it to teach my colleagues at college, i love the style of your writing (fan girl screaming on the background). greetings and lots of tacos for you. Just started with Python a week ago and the first advice I came across: pipenv! Combine venv, pip and whatnot in one simple command. It seems to be "the new standard" and until now seems to work flawlessly. Thank you for this introductory post to begin the series. I look forward to going through the rest as they are released. Hi, nice article, but honestly I've abandoned virtualenv in favor of Docker. What are your thoughts about this tool? Docker has a lot of uses, but merely as a replacement for virtual environments? It's overkill. If a virtualenv is a sandbox, Docker is a clean room. You can use it, naturally, but if the only thing you were needing was a controlled set of Python packages, it's a lot of wasted time and disk space. Just not as a straight virtualenv replacement. Thanks for your reply, Jason. On what directory should I run the "venv\Scripts\activate.bat" command? Ah i got it. I should run it in the same directory as venv/ and if i want to run the python i should use the one inside the 'venv\script\python' instead of only typing 'python'. That's something I like to read. So I already have python2 and python3 on my Mac. How to handle that? Should I remove python2?